My best friend has four paws! And in honor of #NationalPetDay, my furry friend is taking the spotlight on my social media! He’s half Golden Retriever and half Black Lab, and I’ve had him for seven years. I don’t know what I’d do without him! To celebrate, I’m sharing a list of my most favorite local pet stores to get his favorite treats and toys! Three Dogs Bakery - 5960 W Parker Rd #228, Plano Three Dogs Bakery is a great place to pick up a special treat for your fur baby. The Canine Cookie Company - 207 E. Louisiana Street, McKinney – Check out The Canine Cookie Company for some fresh baked treats for you special pet. Hollywood Feed – 9245 Virginia Parkway, McKinney – Hollywood Feed offers a variety of food, treats and toys for your beloved pet. Pet Supermarket – Custer Road, McKinney – Pet Supermarket offers a toys, treats food and more. They also have a self-service bathing area as well so you can have a fresh smelling pet for National Pet Day. 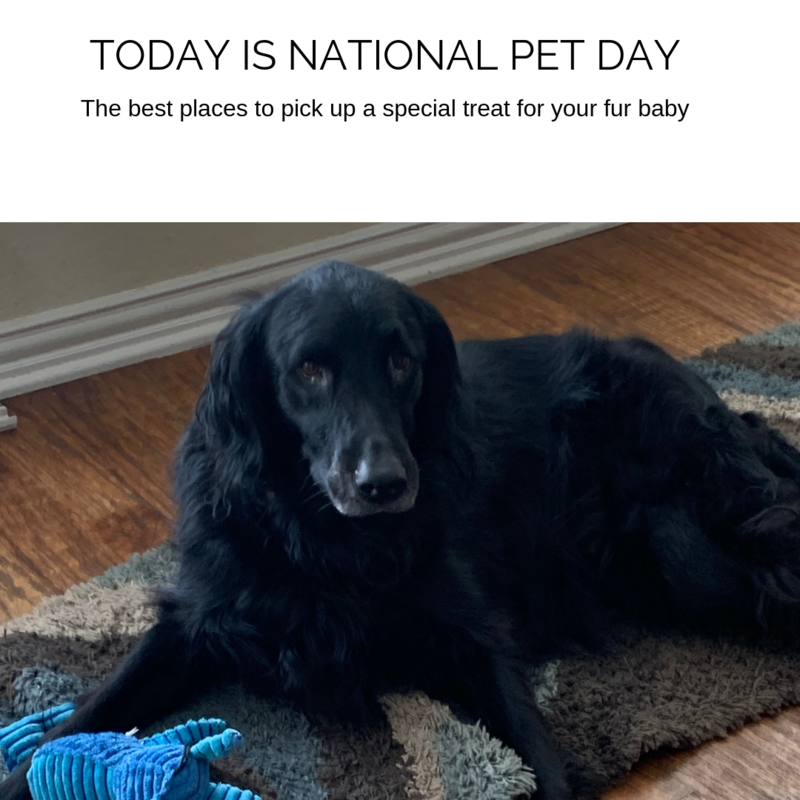 Get out and visit one of these great pet supply stores, and treat your favorite fur baby to a new toy or a favorite snack.